We will take your kitchen from conception, design, planning, remodeling to completion. 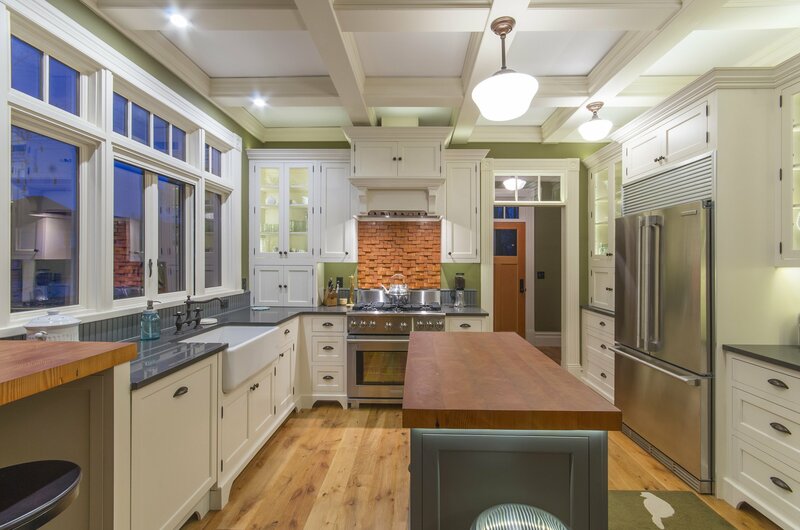 Our team has over 50 years of kitchen remodeling experience to help you have a clear understanding of your options. We install all products we sell and offer complete contractor services through our affiliations with some of the best contractors. 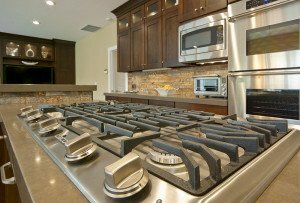 It is our goal to provide you with the best kitchen design and remodel experience possible. We take care in our approach to the design process and will keep you informed all along the way. 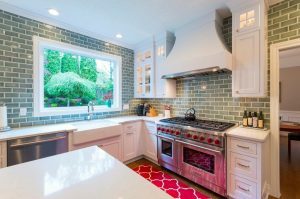 You will have peace of mind knowing that you have hired the top kitchen designers in the Portland and surrounding areas. Our goal is complete customer satisfaction. That is why we take the time to ensure that all aspects of your kitchen design and cabinets are exactly how you pictured it. When it comes to kitchen and bath design, the options are limitless. Our kitchen designers will walk you through the process step by step to help you build the kitchen or bathroom of your dreams. Kitchen Cabinet Design is very critical to a kitchen remodel. 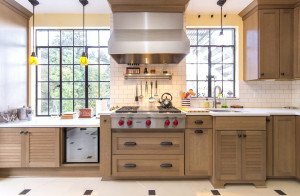 We will provide information about styles, finishes, and resources you will need in planning your kitchen remodel. Cabinets provide are the key to creating the class and elegance that you are looking for in your next kitchen. Cabinets can also be built out of a variety of materials for aesthetics and practicality. We can help find the right cabinets for your space. Visit our information page to learn more about your cabinetry options. Counters take the brunt of the beating in your kitchen. Making sure you choose the correct material for your kitchen or bathroom counters is crucial to prolonging their life and getting the most out of your budget. Visit our information page to learn more about options for your new counters. 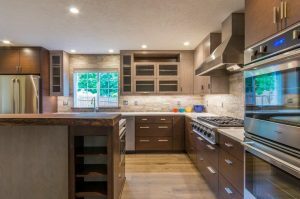 EastBank Interiors has built strong relationships with local contractors to provide you with an all-encompassing, hassle-free construction or remodeling from conception to completion. Learn more about contractor services provided through EastBank Interiors by clicking the button below. EastBank Interiors provides its customers with free in-house consulting to better aid in choosing the right products for their spaces.